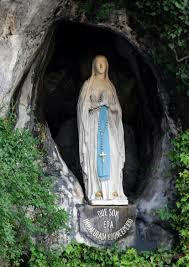 The Cork and Ross Annual Pilgrimage to Lourdes will take place from the 11th to the 16th June 2015, 5 nights, full board accommodation. Booking Forms Available for the Pilgrim Section From: Joe Walsh Tours, 117 Patrick Street, Cork. Enquiries for Special Sick / Assisted Section to: The Pilgrimage Director, Very Rev. Canon Jim O’Donovan, Parochial House, Ballinlough, Cork.